The nomination period for the 2010 Wine Blog Awards is now open and will run through April 7th. 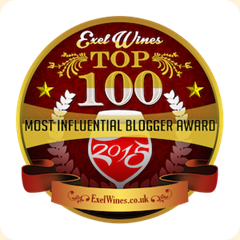 We are humbly requesting your nomination of Toledo Wines and Vines as Best New Wine blog. Making a nomination is simple. Simply click on the link below and provide a comment. Since Toledo Wines and Vines is going for the Best New Wine Blog category, you need to include how many times we have posted during the contest period. That amount is 201 posts. The nominations come from readers like you and later this year, your votes will determine the winners. All nominated blogs will be recorded and the judging panel will begin to sift through them starting April 8th. Since we began the blog on September 13, 2009, we've had a goal of providing a centralized resource for wine lovers in the Toledo area. This came out of my frustration that there was no one location to find out about wine tastings and events in our area. You can see our comprehensive Wine Tastings & Events listing each week (on Wednesdays) featuring area tastings as well as special events that are sure to tickle the fancy of wine lovers. We've also tried to provide a boost to local wine shops and regional wineries that are deserving of your patronage. You'll also fine tasting notes on wines we try and other articles of general interest for the wine fan. Here's a link to our very first post, Hello World.